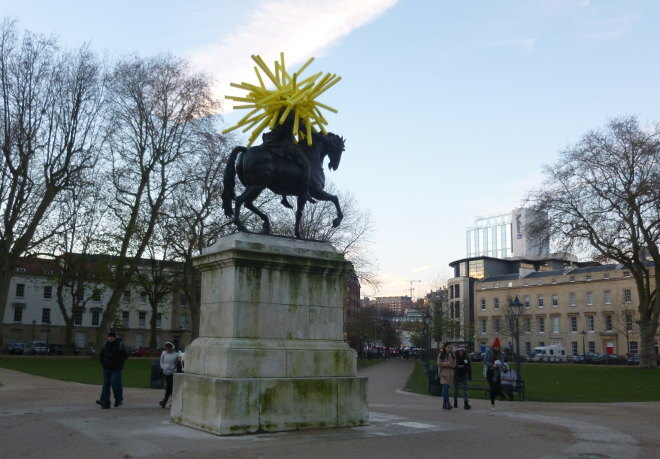 One of the many things I love about living in Bristol is the random ways people choose to brighten our surroundings. 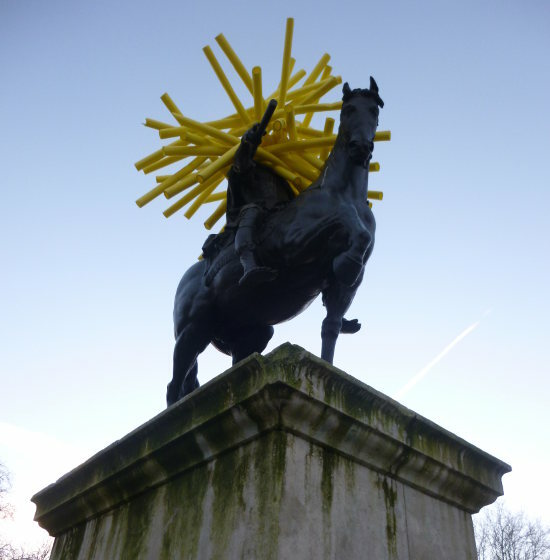 This vivid starburst of plastic yellow pipes appeared on an otherwise serious statue a few weeks ago. The equestrian statue of William III stands in the middle of Queen Square and is, quite frankly, wonderfully improved by this act of irreverence. Who might have done this, and why? What could it possibly mean? Or is the meaninglessness the very point of it all? Make this the starting point of a story, and see where it leads you.